A few weeks ago, after saving their season in a road victory over the Philadelphia Eagles, NBC Sports' Rodney Harrison proclaimed the Dallas Cowboys to have a "championship level defense." While it excited Cowboys fans, at the time, it really felt false. Though their performance against Philadelphia was impressive, they had just got done allowing the Tennessee Titans to convert 11 of their 14 third down attempts in a disappointing defeat. The defense was (and is) young, one that needed to grow and mature while learning how to create turnovers and be more consistent on third down. In fact, Dallas was in the back half of the league in terms of Defensive DVOA at the time, and hadn't been creating the turnovers necessary to really earn the "elite" tag. Well, after their Thursday night performance against the New Orleans Saints, it feels safe to call this a championship level defense. And, on their best night, an elite one as well. The Dallas Cowboys defense held a team which came in averaging over 30 points per game to just 10 in their 13-10 victory Thursday night. And most importantly, they did so by playing good football on all three levels of the defense. 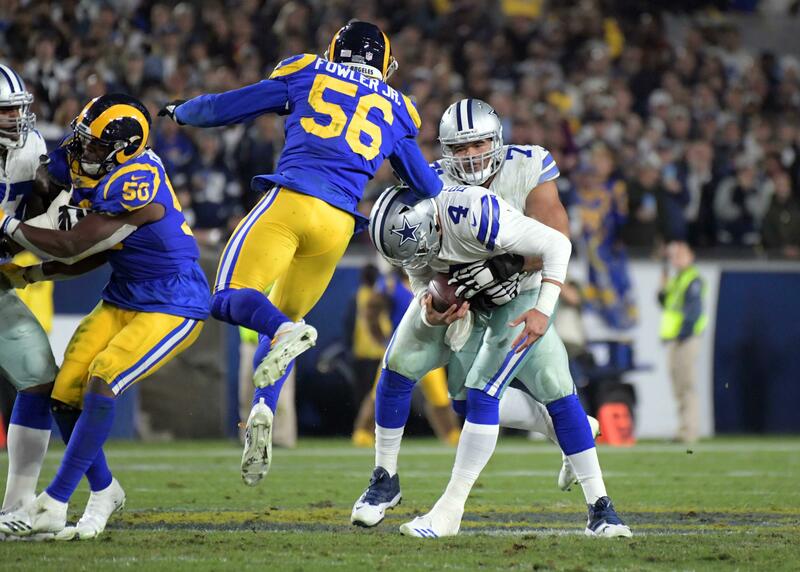 DeMarcus Lawrence backed up his "trash" talk by abusing the Saints tackles and living in Drew Brees' face for much of the night, forcing two sack fumbles though one was negated by a questionable offsides penalty. Tyrone Crawford continued to prove why he is one of the most underrated pieces on this top tier defense, helping to create pressures with Lawrence while also playing the run as tough as ever. 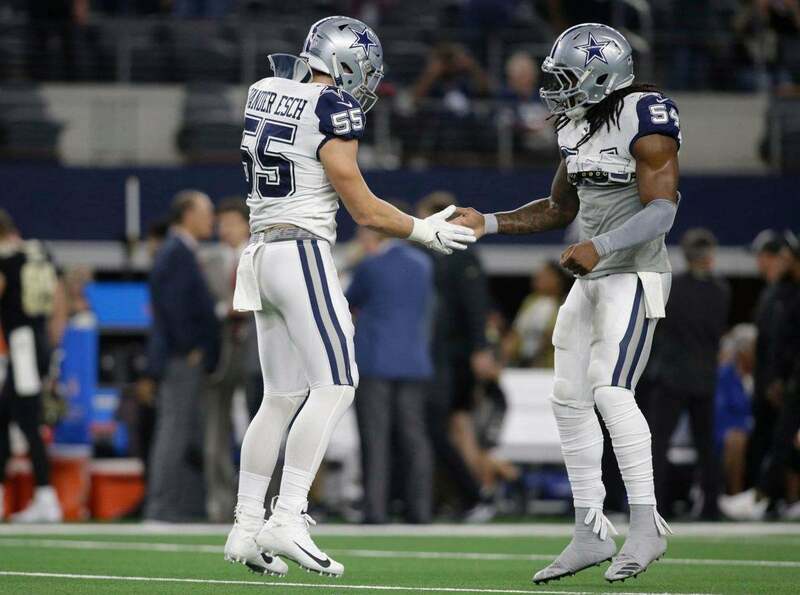 Leighton Vander Esch and Jaylon Smith are playing at an incredibly high level right now. 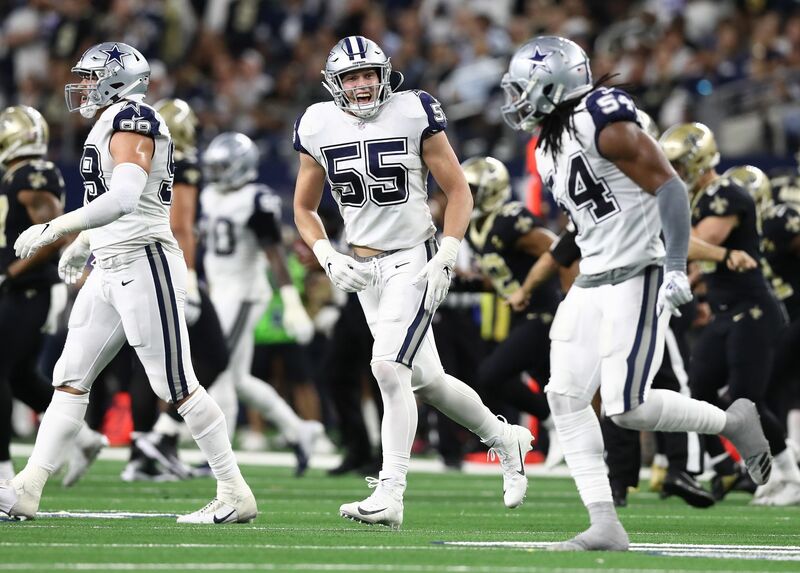 Vander Esch and Smith led the Cowboys in tackles with 10 and 9 respectively, and both were active when it came to slowing down the Saints potent rushing attack. Alvin Kamara rushed 11 times for just 36 yards, and caught 8 balls for only 36 yards as well. That is unheard of for Kamara. While the linebackers and front seven get much of the recognition, the Cowboys secondary is as legit as it has ever been. The seldom-used Jourdan Lewis was tasked with covering Kamara for much of the night, and did a splendid job. He also came up with the game clinching interception after Dak Prescott nearly fumbled the game away in the fourth quarter. Chidobe Awuzie continues to improve, rarely letting up any separation no matter the receiving target. He needs to improve at the catch point, but you can see that all the tools are there. Anthony Brown has completely recovered from his sophomore slump, and has become of the most reliable slot cornerbacks in all of football. Against New Orleans Brown defensed two passes and sacked Drew Brees on a well executed slot blitz late in the game. And then, of course, there is Byron Jones. There is simply no question that Jones has been the best cover corner in the NFL this season, as he simultaneously makes Kris Richard look like a genius for moving him to corner and all previous Cowboys coaches look like morons for playing him at safety. Byron Jones put the clamps on Michael Thomas this week, challenging him at the line of scrimmage and refusing to be out-muscled by the physical receiver. The Cowboys defense is young, athletic, and hungry. 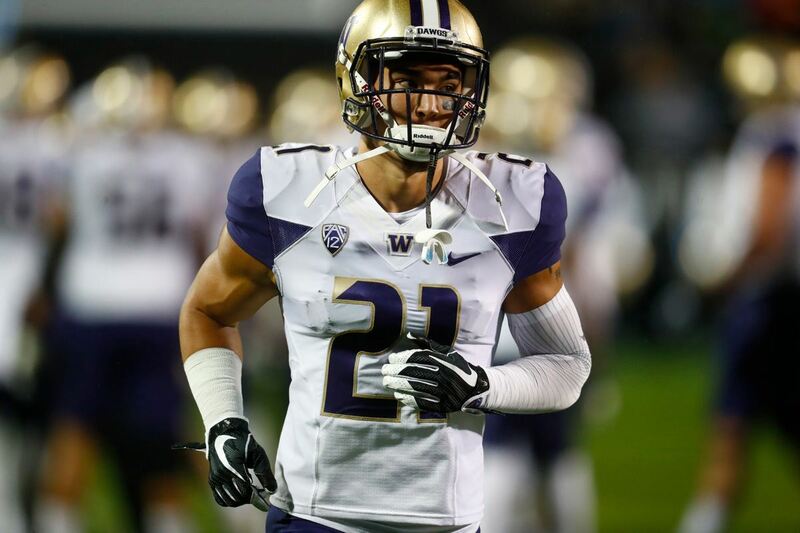 They are built in the mold of championship level defenses which have come before them, such as Richard's Seahawks. They are still growing and maturing, and are far from reaching their peak. But if a stop along the journey to that peak is holding the league's best offense to just 10 points, then their full potential will be scary. Cowboys en Español: Victoria Ante Saints, ¿Contendientes?